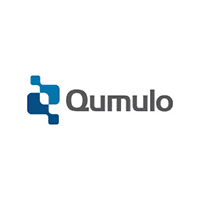 Qumulo is the leader in universal-scale file storage. Qumulo File Fabric (QF2) gives data-intensive businesses the freedom to store, manage and access file-based data in the data center and on the cloud, at petabyte and global scale. Founded in 2012 by the inventors of scale-out NAS, Qumulo serves the modern file storage and management needs of Global 2000 customers. QF2 handles small files as efficiently as large ones, is both read and write optimized, and has high sequential and transactional performance. Its real-time analytics let you get answers and solve administrative problems immediately. For more information, visit www.qumulo.com.